Sorry Monday, you've been replaced with bigger and better things. I welcome YOU with open arms, Tuesday! As I mentioned last week, we had Friday and Monday off so as of right now I'm a firm believer that all weekends should be four days, don't you?! Especially when a birthday is smacked right there in the middle! It was awesome, to say the least, and just like I had hoped the weather was seriously perfect. I'm talking sunny skies the entire weekend, warm, and hardly any clouds. Amen. Thursday night the celebrating began when Billy took me out to dinner at a new restaurant in town called Hudson 29 (we ate on their patio outside and loved our food...big fans) and afterwards for dessert we walked down the street and got my favorite ice cream (actually Billy's too) at Graeter's. 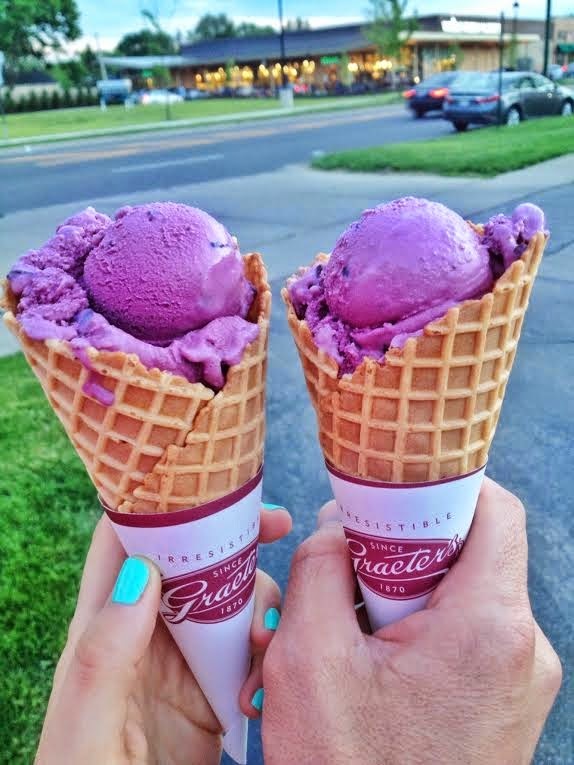 You can't beat their black raspberry chip...you just can't. If you live outside of Ohio, look for the pints inside your grocery stores! The best, best. For my birthday, Billy got me the white leather Michael Kors watch I've been wanting! I have worn it everyday since, and am wondering how I've gone so long without a white watch for the summertime. It goes with everything, I love it! Friday...good ole Friday. We made our way to the cottage and took the boat to Put In Bay to meet Billy's brother and his girlfriend for dinner. The trip wouldn't have been complete without A. a beautiful sunset boat ride on our way home and B. getting pulled over by the US Coast Guard. What? You act like those two things don't go together. ;) The US Coast Guard can actually pull over any boat in the water and legally they don't have to have a reason to stop you, which is pretty crazy. They went over a bunch of safety equipment with Billy (aka quizzed him over and over), but since he's a rock star and everything was up to date on the boat we left without a ticket and them wishing up a good weekend. I wasn't that worried about it from the beginning, but it was still something we were definitely not expecting! The views weren't too shabby and we had a great dinner with his brother and girlfriend! 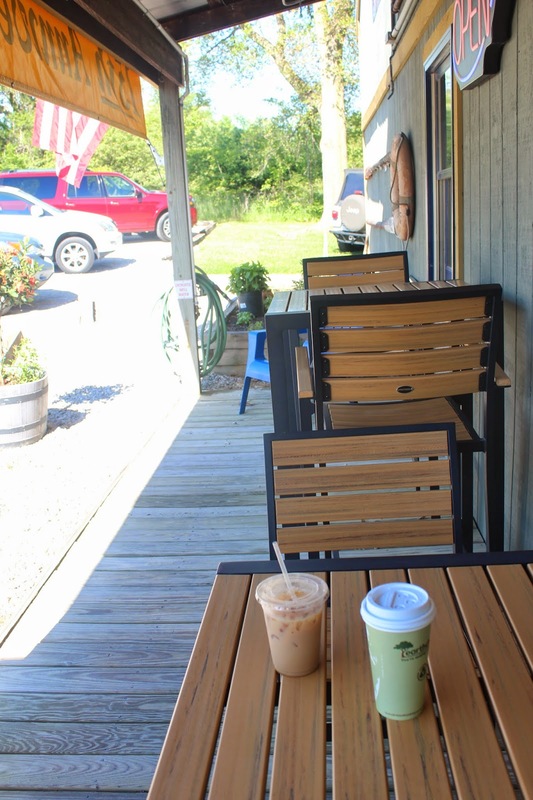 Saturday morning, we headed down the street from the cottage to our favorite little coffee shop, Rudders! Billy's parents, cousins, Grandma, and Uncle Joe all headed up Saturday afternoon so we got to spend the next two days with them. It was wonderful and everyone had so much fun boating and we also took the boat over to Put In Bay again for a few hours. Billy's mom had surprised me with a birthday cake and the whole family sang happy birthday to me Sunday afternoon. It was perfect! If you're wondering why you don't see any pictures of hardly any of us at night dressed up, it's because well I never really got out of my bathing suit all weekend and there was no having to worry about doing my hair and make up at night. Hope you all had a fun holiday weekend as well! Cheers to another short week! Happy Birthday girl!! 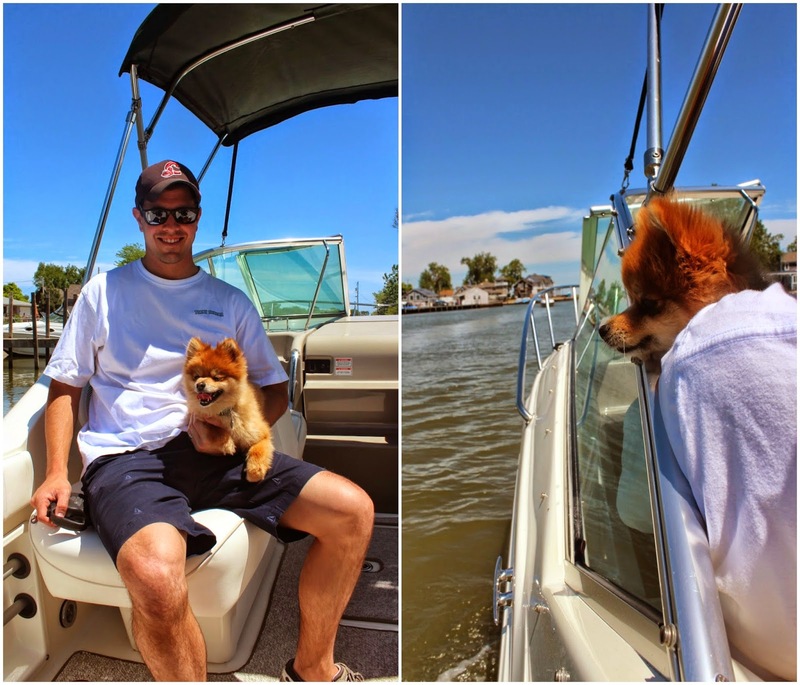 Can't believe that was Ricky's first boat excursion. I see many more in his future! What an awesome weekend! So glad that Winter is FINALLY gone! What an awesome birthday weekend! 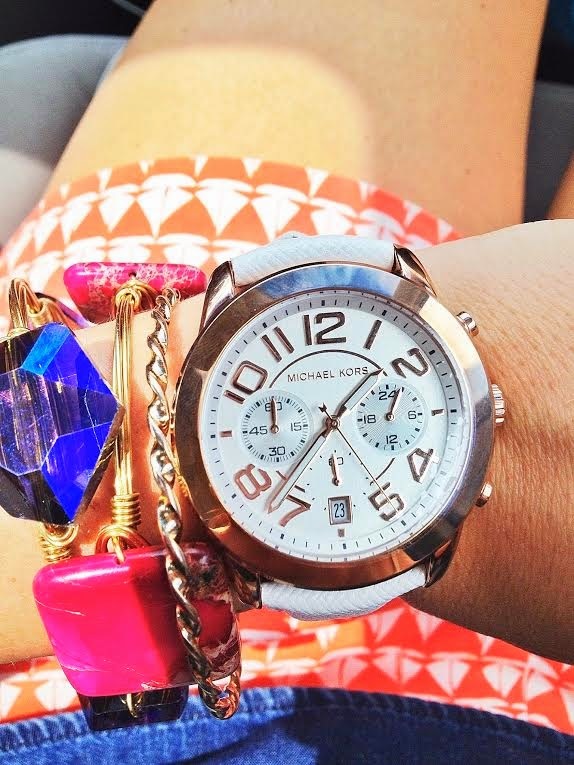 I love weekends that are all about food :) your arm candy is sooo yummy! That's look like the perfect birthday weekend. I'd never want to come back to reality. Looks like you had an awesome birthday!! :) Def did not want to come back to work today! Everything looks so beautiful! 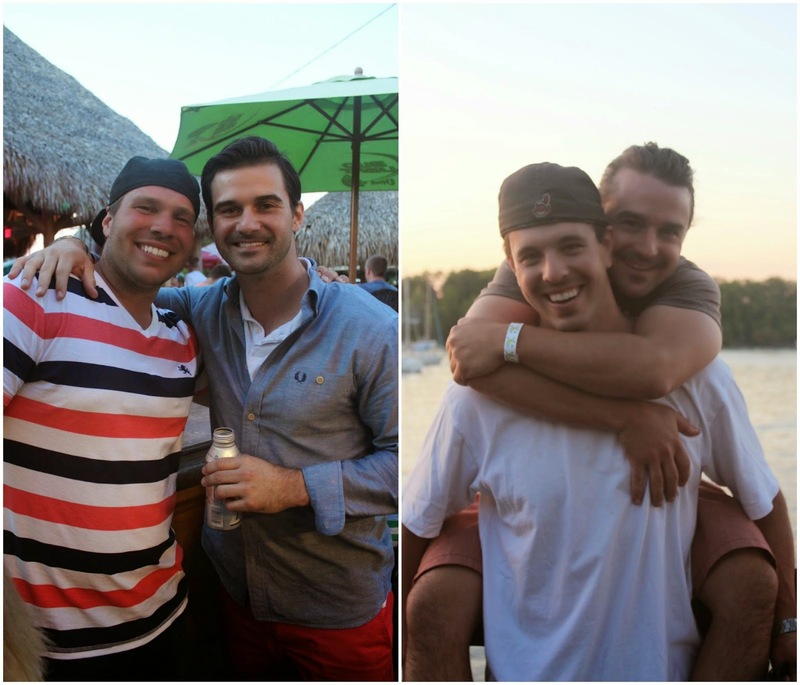 I'm so jealous you were at the lake, but I'm not complaining about my fun weekend! I'm so glad you had an amazing weekend and I hope you had a perftect birthday!! Looks like such a fun weekend! And happy belated Birthday! 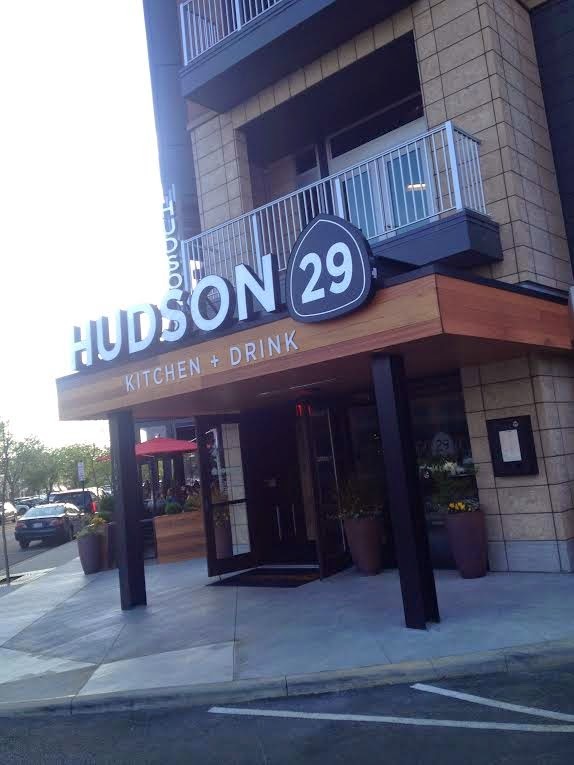 We will definitely need to check out Hudson 29. We actually tried Sweet Clove Cafe which I have seen you go to many times for brunch and it was sooo good! 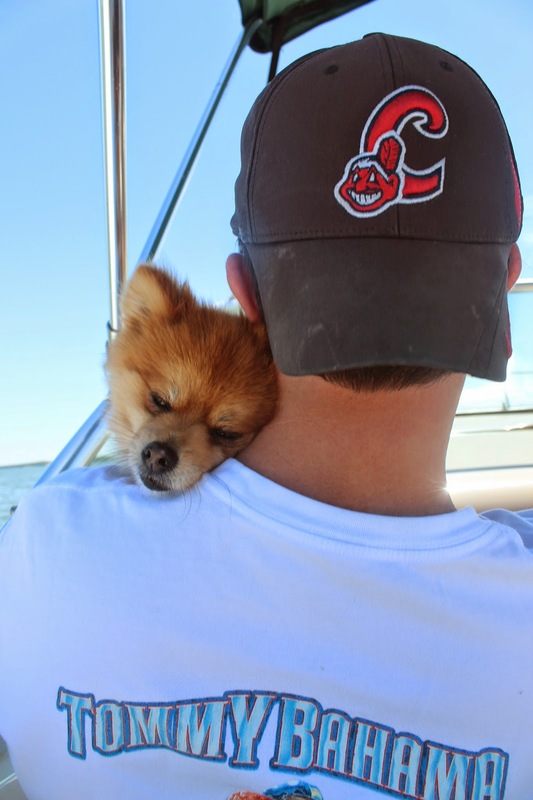 Hope Rocky enjoyed the boat ride. We take one of our pups out on our kayak, and she just loves to smell all of the new scents. Looks like a very fabulous birthday weekend! Happy belated friend! Happy belated birthday!! Sounds like a perfect weekend. I also took off Friday...I did not not want to go back to work after that long! Happy Birthday (a little late)! 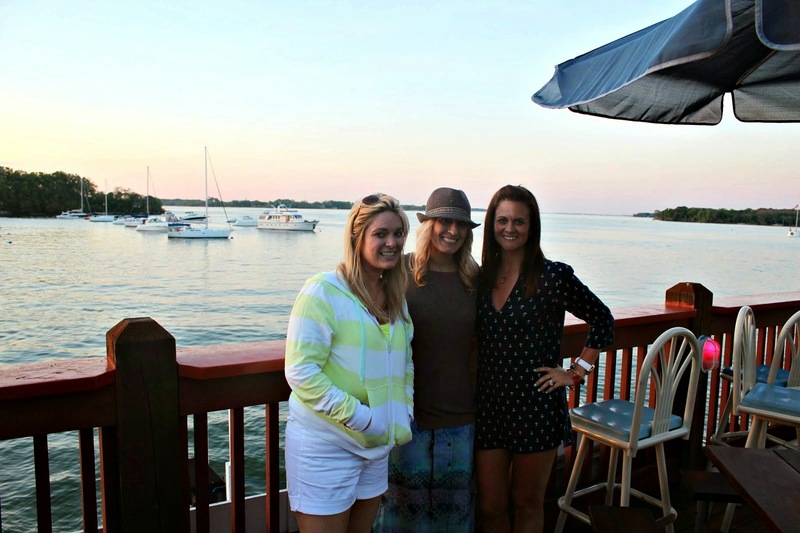 Love the pictures of Put in Bay - my aunt used to live there and own a restaurant there and growing up I spent all my summers there...Loved It! Such a great place! 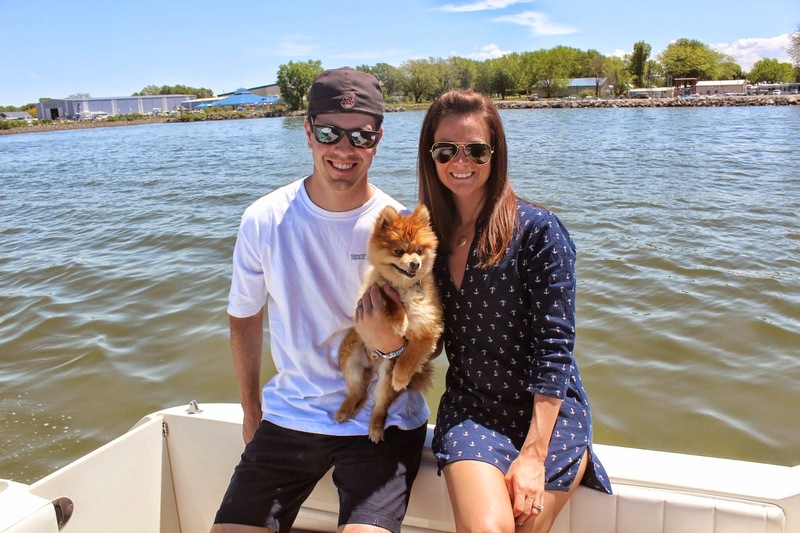 Thanks for the great pics that brought up such fabulous memories - I now live on the east coast..my husband and I loved Lake Erie soooo much, after we got married we knew we had to live on "big" water so now we live on the east coast in Delaware and sail on the Rehoboth Bay. Love your blog! Glad you had such a great birthday weekend!! I need a boat and a lake in my life. I love Graeters! So happy we get it here in MI. I love you're maxi dress! Where from? The perfect celebration. Happy belated birthday beautiful friend. Looks like the perfect weekend!! Can I come with you to the lake one time?? So beautiful! Rocky looks adorable in the photos! 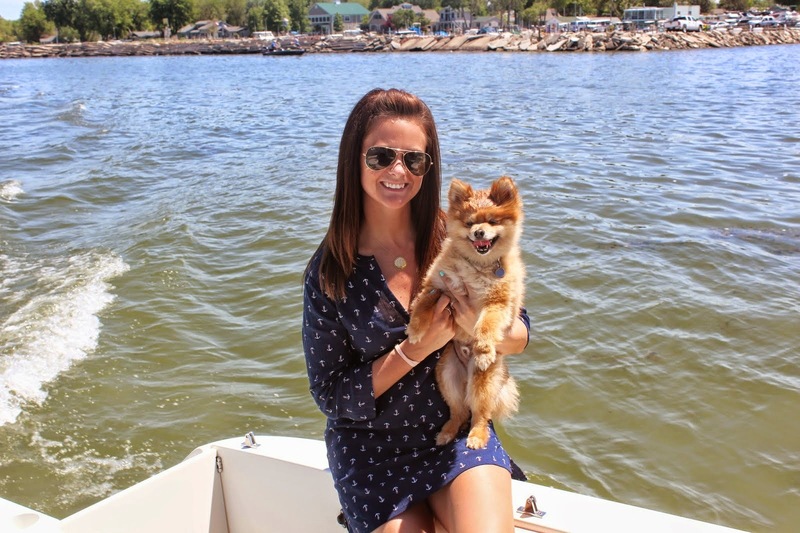 I just love that little guy..
PS where did you get that cute anchor dress? I so want it..